Ever since the concept of e-commerce has taken off, retailers have steadily worked to make it easy to shop online. While this is a convenient option, heading over to your local brick and mortar stores to do your shopping still has some terrific benefits. Looking to buy a specific item for yourself or for someone else as a gift? Here are some reasons why shopping in-store can be a superior experience. When you visit your local retailer to shop, you get to see and touch the item(s) want to buy before spending your money. Want to make sure that gorgeous dress you want to wear on New Year’s Eve fits? You won’t know until you try it on. You don’t get this option with online purchases. Sure you can ship your purchase back, but why have the hassle? Plus, you’ll still have to exchange or buy another dress. Shopping in-store you also avoid the delivery and/or return fees associated with online purchases. Tip: Did you know many merchants offer in-store only discounts? For instance, if you’re a student or in the military, retailers often will give you a percentage off. Many online merchants strive to mimic the in-person shopping experience via email, chatbots, and how-to videos. However, it’s just not the same as a salesperson answering your questions and/or demonstrating to you how something works. Additionally, if you can’t find exactly what it is you want, the personalized service offered by brick and mortar stores can help you find that perfect item or show you substitute products. Perhaps one of the best reasons to shop in-store is the fact you can take your purchases home – immediately. While there are some exceptions, with most online purchases you’ll have to wait at least a couple of days or longer. 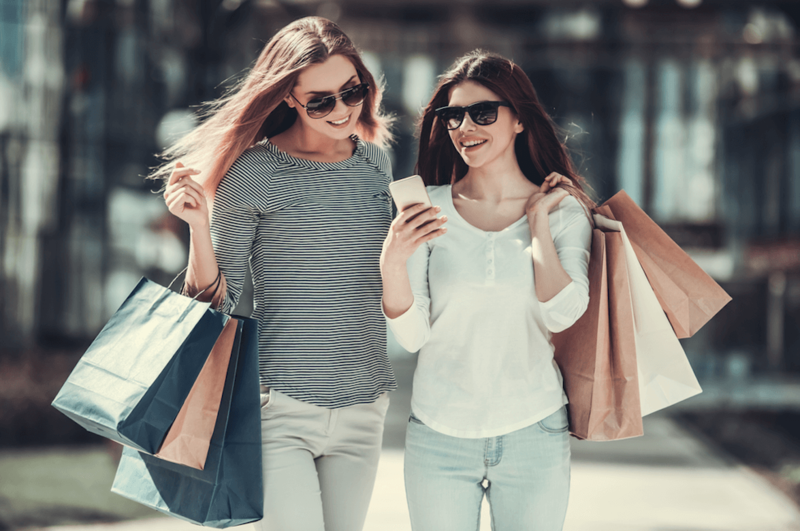 Sure, it’s easier to order items, such as books, online, but when it comes to purchasing items such as gifts, home décor, or clothing, there’s no comparison in experience when it comes to online vs. in-store purchasing. Looking for the perfect place to shop? The Shops at Willow Park has shops for entire family. Plus, you can stop in one of the eateries or the brewery while you shop!